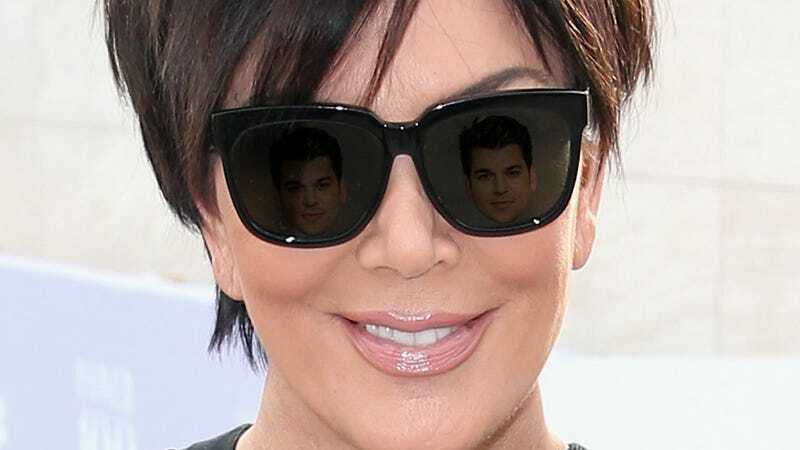 TMZ is reporting that “literally minutes after [Blac] Chyna went wheels up at LAX” Friday morning, master of performative motherhood Kris Jenner threw on her angriest sunglasses, hopped in her angriest Bentley, and drove straight to Chyna’s home to confront Rob about his recent behavior. It’s interesting ... back in 2013, when Lamar was off the rails with drugs and living with Polina Polonsky, Khloe and Kris went to Polina’s home to get Lamar and almost broke her apartment door down. I’m imagining Rob working out in Chyna’s gym—maybe watching a little Mozart In the Jungle while running on the treadmill—when suddenly he hears a knock at the door. Who could have gotten past security? Is it Chyna? Did she forget something? Then, suddenly, he realizes who it must be—the only person it could possibly be.